Here's the thing, being a lady takes a lot of effort. Especially in this modern era, we are expected to be so much more than just being good at housework. Long gone the days when our priority is to stay home and learn up all the amazing cooking, cleaning and sewing skills in hoping we can be a good wife to some manly breadwinner some day. It's a amazing how Gender Equality empowers women, it gives us more freedom and opportunities to be something more. However, it comes with a cost. The repercussion of this movement is expectations for women to be stronger, bolder, and more emotionally stable. At the same time, we should still be able to carry out womanly duties and characters, which includes having a nurturing spirit, compassion, kind and gentle. Additionally, we can't look like a hobo too. We are expected to look at the very least, presentable. Thanks to media (yes, I blame media) and society, the perception of "presentable" is not even close to just looking clean, neat, proper attire, and smelling good. In the present-day, looking presentable is a whole different ball game altogether and it's not even funny. Makeup and nails: don't even get me started. Personally, I'm going through a tough time juggling quite a lot of things in my life - work, blogging life, Masters, church, family, friends and etc. I'm at this season where everything seems to be coming to me all at once and to be completely honest, they are all equally important to me at this point of my life. I really don't think I can let go any of it at this moment. Thus, being an on-the-go woman, I'm pulling out my cheat sheet. My cheat sheet comes with a list of tips and tricks on beauty and life that will help save time and money. Things like using multi-tasking products (eg: tinted moisturiser with SPF), apply less makeup, wear one-piece outfit, go nudes on nails, carry easy yet elegant enough bag to fit all outfits and occasions, and many more. Now, I'm about to add a new tip into my cheat sheet, I'm planning to stop shaving my legs and underarms. And no, it doesn't mean that I'm going to allow myself walking out with unwanted hair seen by everyone. I just won't be using a razor to tidy myself up anymore and here's why. Not the cutest thing, they look like a rash. I do have dry skin, even if I shave with shaving cream, I still do get them occasionally. Also, it can be itchy, painful (but rarely) and cause ingrown hairs. I'm not even kidding, it makes you feel almost naked, even with clothes on. This is because shaving removes a very thin layer of your skin along the process. It's not necessarily a bad thing because it's somewhat an exfoliating process but too much of exfoliation is bad for your skin. Shaving with a razor repetitively can cause red or dark spots and it's ugly. This is because you are constantly just removing hair on the surface of your skin and not from the roots, which will lead to dark spots on your skin and possibly red spots as well as leaving your skin feeling itchy if you don't take the effort to moisturise after shaving. Yes, it's probably cheap (if you don't take the branded ones will all kinds of claimed benefits) but if you think about it, razors are something you'll have to switch regularly because the blades get blunt or even rust if it's not dried properly after used. Thus, the idea of constantly needing to change my razors is definitely a hassle for me. Topping everything else, I hate the fact that it's not lasting, at all. In fact, the hair grows back extremely quickly. Many women actually shave their legs and underarms every time they have a shower because it's not a longer lasting solution to unwanted hair. Every single time I shave for the purpose of being able to wear that dress, skirt, shorts, sleeveless or short sleeves, I can only pull it off for one day, max two. My shower routine is long enough, I don't think I can find time to slot shaving in it. I just rather not especially when I know it's only gonna last for a day. 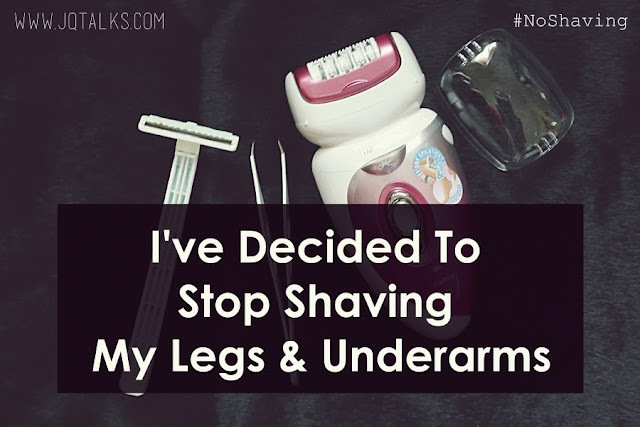 I used to tweeze my underarms because I like that it lasted longer than shaving and hair grows back finer. Though, I'll have to suffer through a hour of pain plucking one hair at a time. That's not all, I will usually suffer with sore neck after that too. Lols. It's time consuming and a lot of effort required, thus, if I'm really in the hurry, I have no choice but to shave for a temporary solution. Of course, with my legs, I can't go plucking one by one, I'll probably die of boredom. So I could only count on razors. New Tip in my Beauty Cheat Sheet: Epilator! If epilator is a new word to you, well, it's a device that removes hair from the roots through the spinning of tiny metallic/ceramic tweezers. It's a totally awesome hair removal method that's long lasting and provides a speedy solution. Removes even the tiniest of hairs - as short as 0.5mm! It's a huge advantage as compared to waxing. Long lasting result - Since it's plucks hair from roots, hair takes longer to grow back. One session of epilation leaves your smooth and hair-free for 2 to 4 weeks, sometimes longer. Fast - Generally it only takes a few minutes because it yank out several hairs at one go. It gets better every time - Yes, you'll still feel pain (especially the first time) because it plucks hair from root but pain actually becomes lesser with every epilation session. This is because continued epilation results in lesser hair growth. Great for sensitive skin - Waxing and shaving removes a layer of your skin on each session but an epilator doesn't effect the skin much, especially when using an epilator that's designed to be used in bath or used wet. I've tried epilators before but my old one is probably not a very good one because it's super loud (like a lawn mower) that makes it super scary and it kinda hurts even after a few times (the pain should reduce with use). I've been eyeing on one particular epilator set for the longest time and have been researching about it for a while now. It's great because it's cordless, rechargeable, and can be use wet or dry. It also has the ability to foam itself and the best part of all, it has this function call "Skin Guard" where it gently holds skin in place, so the epilator pulls only the hair and not the skin. This will help in reducing the pain when epilating. Genius. It's the Panasonic Epilator ES-WD94 6in1. I finally placed my purchase from Rakuten.com.my because it was one of the cheaper ones online and the merchant, FC Online, is a quite reliable when it comes to shipping. It arrived within 2 days and securely wrapped in bubble wraps, cushioned with polystyrenes, boxed, taped, and cling-wrapped as a final touch. It's so secure that we don't have to worry much on courier services' staff plan to steal things. Totally satisfied with the packaging and shipping services. So, I guess I'm using this platform to announce and start my #NoShaving Challenge. My plan is to only use my new epilator for the next 2 months to experience the results. Of course, I will be back with a full review. 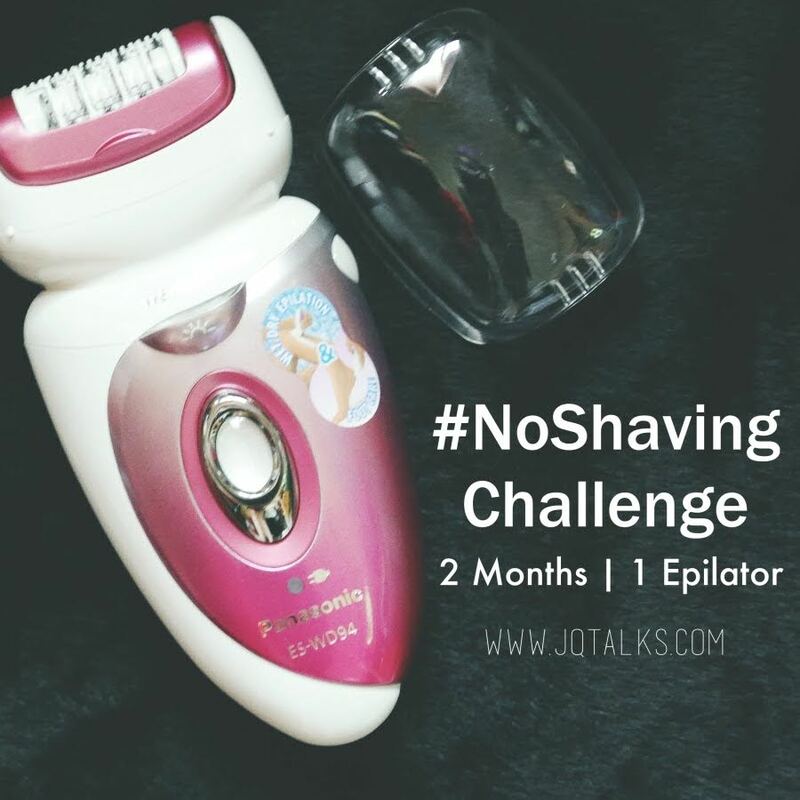 If you are interested to join me on this challenge, or even just interested to try using an epilator. I have a 10% coupon code for you to purchase from Rakuten. Just key in (2PEP10) upon checkout. I am NOT earning any commission from this, it's just a special coupon code for you. Coupon Promotion is only valid from 2nd June (00:00) – 3rd July 2015 (23:59). For discount to be applicable, customer must key in the valid coupon code (2PEP10) upon checkout. Customers MUST register as a Rakuten Member in order to be entitled for the discount. To enjoy the 10% Discount, a minimum spending of RM6 per order is required. Each coupon can only be used once per member. Total accumulated discount from site-wide purchases are capped at a maximum amount of RM500 per Member. All orders must be paid within the promotion period (cited at Clause 1) in order to be eligible for this discount. Coupon is not exchangeable for cash and cannot be combined and accumulated. Coupon is not returnable or refundable upon order cancellation. If any of the products or content related to this campaign are returned, your refund for the product or content is subject to applicable individual participating Merchants’ refund policies. In the event of a dispute, Rakuten reserves the right to make the final decision. No other form(s) of correspondence(s) will be entertained. Rakuten reserves the right to modify, amend and discontinue any part(s) of this promotion without prior notification. Wish me luck on this challenge! Woohoo!! Good luck in your challenge! @Primrose in the woods, It's RM400 for the set from Rakuten.com.my. You can click on the link provided as above. I also have 10% discount for you if you are planning to buy them from Rakuten. Buka Puasa Bersama Cyberview Resort & Spa!